Lucie Pohl has always had performace in her bloodstream. She grew up in a household full of actors with her mother being a theatre director and singer and her father being an actor and dramatist. When she was young, Lucie moved from her homeland of Germany to New York City, where she lives now. 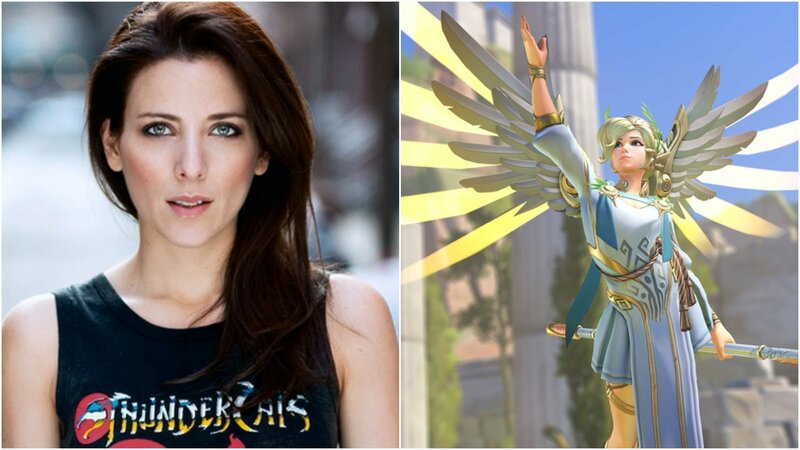 Since then Pohl has appeared in a variety of roles on TV, in movies, as well as live in New York comedy venues, but she is arguably best known for her portrayal of Mercy in the hit game Overwatch. 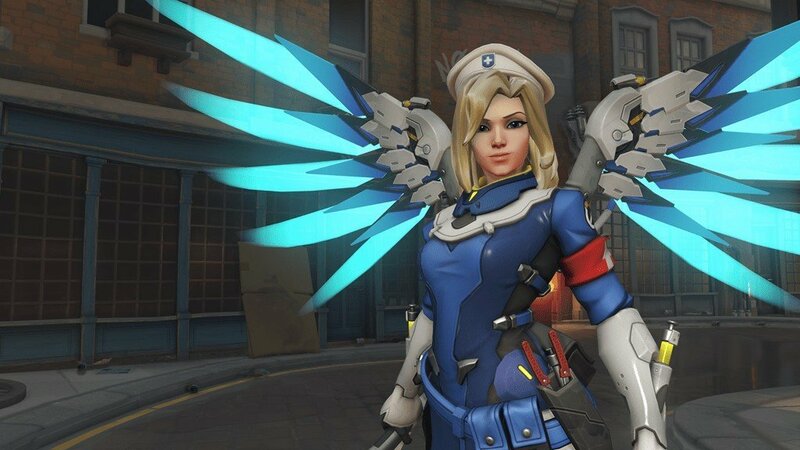 Since it launched back in 2016 Overwatch has become a global phenomenon and at the centre of the game has been Mercy, a Swiss combat medic with a fierce tenacity and a heart of gold to boot. CGMagazine’s Alex Handziuk had the pleasure of sitting down with Lucie Pohl at Toronto Comicon to talk about her career, Overwatch’s impact and the immigrant experience. CGMagazine: Thanks for doing this interview! How are you enjoying the convention so far? Lucie Pohl: I’m loving it! It’s been really busy and really really fun so far. I’ve met insanely kind, interesting and cool fans, so it’s been wonderful. There have been fans from all over the world, lots of fans from the Philipines, China and some from Brazil. CGMagazine: So you did a large number of live action acting work before you did Mercy, how was making the switch? Press Image Provided by Blizard Entertainment. Lucie Pohl: I had done a lot of voice acting work but not that much in video games so there was definitely a bit of a learning curb in terms of the difference between in combat and other types of video game situations. But because the directors, Andrea Toyias and Michael Chu the head writer of Overwatch, are so insanely talented and brilliant at what they do it was actually just a case of trusting them and letting them guide me. CGMagazine: Where were you when you realized how big Overwatch was going to be, that it was this global phenomenon that was taking over the gaming landscape? Lucie Pohl: I knew that it was special the moment I got involved in it. That being said, I didn’t realize that it would be as big as it has become until I was in a cafe in New York and I was sitting there having coffee with a friend who got up to use the bathroom and a waiter came over and said “I’m so sorry, this is kind of unprofessional.” And in my head, I immediately went into the New York mode of ‘oh this guy is asking me to leave because I’m not eating and only having a coffee, how rude. I’m gonna bring out the fact that I waited tables for seven years and he can’t do this. And then I started actually listening to what he had to say and he was saying that “I’m such a big fan of Overwatch, I’m a huge fan of your work” and so I was like “Oh My God! I almost cursed this guy out,” and that’s really when it hit me where I was like, “wow, this is really big and there are so many fans and they’re so dedicated and supportive”. I think that was around that time, so about a year ago. CGMagazine: How often do you record new voice lines for Mercy? Lucie Pohl: It’s kind of sporadic it’s not on a particular timeline. It’s when they do updates or come up with new content. CGMagazine: On top of live action acting and voice work you also have a repertoire of comedy work including Hi Hitler and Cry Me A Liver. How did you get into comedy? Image Courtesy of Hi Hitler Facebook. CGMagazine: A lot of your work seems to be inspired heavily by your immigrant experience, would you say that that’s something you bring into your roles? Lucie Pohl: I do, especially the first show, Hi Hitler is very much about my story of how we came to New York and the whole immigrant experience of not speaking English, translating to parents and stuff. But I think that everything that I do is sort of informed by that experience. Now in the climate that we’re in, I feel even more strongly as an immigrant and that it’s even more important to highlight that aspect of myself, to talk about it and make sure that our voices are heard. I have a show that I run in New York called Immigrant Jam which is a standup show where I invite mostly immigrant comics. I always have one American comic because I don’t like events that are exclusive to anybody but I feel that its important for us immigrant kids to tell our stories, make our voices heard and fight back. Because we do feel like we’re under attack. CGMagazine: How has the community response been to Overwatch? Image credited to @LuciePohlComedy Twitter. Lucie Pohl: The Overwatch fans are absolutely the best fans in the world. I love them so much and they’re so supportive of everything we do, especially outside of Overwatch. They come to see my shows they’re great audiences, they support Karolina’s amazing web series, they see Angelie when she does theatre or they watch when she’s on TV, support Johny’s crazy videos. They support us in so many different ways and they really are engaged and in us as people and not only what we do on Overwatch. All of us are so grateful and we know that we are so fortunate to be a part of this but more than recognition and all that stuff, I think we all feel very fortunate to connect and reach so many people all over the world. CGMagazine: A big part of Overwatch’s appeal is that it’s so multicultural, with characters and voice actors from almost every corner of the globe. How important do you think that Overwatch is in terms of representation? Lucie Pohl: I think that it’s very important in today’s climate and I also think that it’s why the response has been so resonant. We do live in an open world now and there are some people who are trying to turn the wheel back and are trying to deny the fact that our world is different and we don’t have walls. People live in different lifestyles and cross-culturally where travelling to new places is so open and accessible. I think that because Overwatch creates this world where there are very real characters that are also fantastical and heroes, it almost gives every single person there a hero to identify with. People are able to go, “oh! I see myself as that hero because I am this skin colour or because I have this quirk or this background”. So I think that that’s so special about Overwatch and I honestly think that it’s a part of its huge success because there is no other game out there with those kinds of characters. Press Image Courtesy of Blizzard Entertainment. 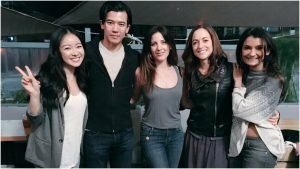 CGMagazine: And credit to the voice actresses and actors because Overwatch doesn’t have a story, but still manages to have a story-like impact on players. Thank you for giving us credit but I have to give credit back to Michael Chu, Andrea Toyias, Jeff Kaplan, all the guys who create the game, who create the characters because they are the ones who make these multidimensional people. I think that Mercy is a great example because she is this medical doctor who’s educated and tough but at the same time she’s empathetic and has a very soft nurturing side to her. People call her Mama Mercy, but she’s also a woman at the same time. She’s got a lot of dimensions, she speaks multiple languages and is so multi-faceted and modern in a way. That’s all them though that’s not us. 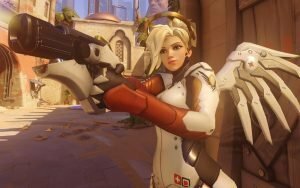 CGMagazine: Have there been any of Mercy’s voice lines that you’ve come up with or is it more being told the lines? Lucie Pohl: It’s pretty much the team, I mean we discuss where we want to go with it but in the end, I can’t take the credit for them. It’s Michael Chu who does the writing. CGMagazine: With the Overwatch League taking off has going to see it live appealed to you? 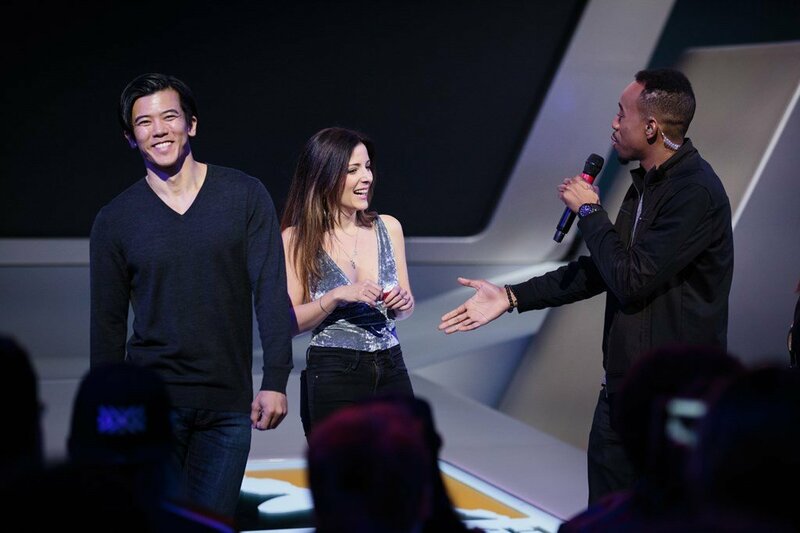 Lucie Pohl: Gaku Space and I, who voices Genji, we went to go see the Overwatch League a couple weeks ago. We kind of did it a bit low-key because we wanted to check it out. We watched Dallas Fuel play L.A. and we met the New York Excelsior team, so that was fun because I’m from New York and I wanted to meet them. Although they weren’t that impressed. They were kind of in their zone and especially during competitions, but it was awesome to meet them and just see the Overwatch League and take it in. CGMagazine: What has been your favourite Overwatch moment? Lucie Pohl: I have to say that every time a fan shares a story with me, especially the ones that are about getting through hard times. A girl just came up to the table and she said I started playing Overwatch when I started college recently and I had a lot of anxiety going in because I had no friends and I it was the first time that I was away from home. And through Overwatch I found a community, I found friends and it gave me confidence. Those moments are always the best ones for me because it’s so cool to be a part of something that touches people on a deep level. CGMagazine: Last question, what does the world need more of? Liked this article and want to read more like it? Check out the latest Overwatch League Six Pack and the Toronto Comicon Interview with Howard Chaykin.